So, I may or may not just have watched the entire first season of Downton Abbey over the past two days. Downton Abbey, you have ruined me. Ruined me! I don’t think this book will ever get edited…well…considering I’m halfway done Downton (I finished season one today), at least it will be soon be over so I can alleviate this compulsion. Because I MUST KNOW what happens next. On the bright side, this show inspires me to write. Maybe because it captures human nature so well. It’s so rare for there to be a show these days that’s almost all character-driven and so thoroughly entertaining. I daresay these are the most fully fleshed-out characters I have ever seen on any TV series. There is not a boring one among them, and just to see their motives and moves is so fascinating. It’s almost so believable that it feels like it’s actually happening, or did happen once. I love all the shots the characters take at each other while sounding so dignified…and yes, classy. 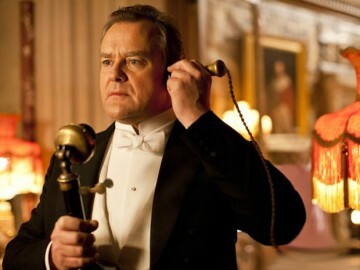 Use that “tele-phone,” Lord Grantham…like a boss. Downton Abbey…where even hunting is classy. It’s set in early 20th century England and really captures the conflicts of that area. The struggle between classes, the looming of WWI on the horizon, and of course, scandal. Scandal! And murder! And of course, you sometimes want to the throttle the characters that are in love and knock some sense into them. Mr. Bates, I’m looking at you…damn you and your honor, sir! 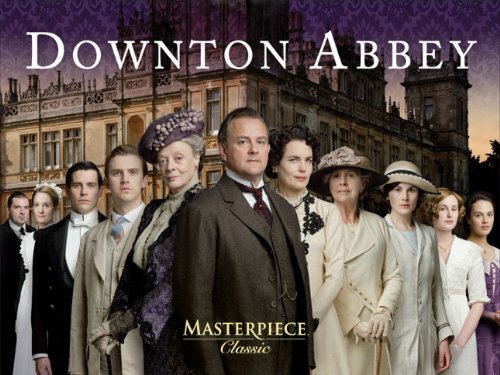 Okay, I just googled pictures of Downton Abbey, and guess what? Spoiled! I found out my favorite character dies. But yeah, I could see it coming…but why her? She was the only good one of the lot! I’m sad now…I guess I learned my lesson. No googling shows you’re in the midst of watching…lesson learned. We’ll see. Hopefully I don’t lose faith in Book 3, as I did Book 2. All of those involved in Book 2 (namely, me), are doing their best to forget that monstrosity. Well…I’ve hit the wall. Halfway edited through Wasteland, and I just can’t go on anymore. At least not now. …yet all the same, I wouldn’t be anywhere else. This is just a novella, but I’m determined to have it done. I want to have it edited by this Sunday, then start the process of Kindle conversion…which is almost as superhuman a feat as writing a book. I used to think the first draft was the hard bit. At least for me, that’s not the case. First draft is where you have all your fun – where you get to make a mess and do wild and crazy things. All the cleanup is for some poor schmuck later. But little does first drafter Kyle know…he someday has to don the editor’s hat and be that poor schmuck cleaning up writer Kyle’s mess. I am close. Very close. And yet there is still so much to be done. I used to think writing the last line of the book was the final tying of the bow, as it were. That’s far from the case. Editing makes or breaks a book. I want this book to be 100 percent typo free (at least as far as it is within my power to do so). I want it to be formatted very well. I want the job to be done at professional, or at least near professional level. Writing is fun. It really is. I enjoy telling a tale as much as any writer should. But the truth is, it sometimes feels like a job. Right now, it’s a job. But I am happy. I really like this story, even if it’s starting to annoy me right now. Maybe I’m done with the first draft, but there is still much to do. Also, have some ideas for later titles. After Wasteland goes up, I have an idea for a fantasy novella. We’ll see. I’m kind of excited about it, because I’ve been doing apocalyptic/zombie stuff for awhile. It’ll be good to sink my teeth into something different. Anyhow, I have the urge to watch Family Guy. A glass of wine, perhaps, and dinner. Then, back to the trenches.